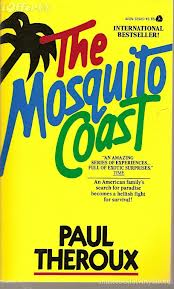 "We drove past Tiny Polski's mansion house to the main road, and then the five miles to Northampton, Father talking the whole way about savages and the awfulness of America - how it got turned into a dope-taking, door-locking, ulcerated danger zone of rabid scavengers and criminal millionaires and moral sneaks. And look at the schools. And look at the politicians. And there wasn't a Harvard graduate who could change a flat tire or do ten pushups. And there were people in New York City who lived on pet food, who would kill you for a little loose change. Was that normal? If not, why did anyone put up with it? This is the rant by Jimmy Cannon about Muhammad Ali and everything that was wrong with the world. Wrong with the world as he saw it. Remember now he was born in 1910, is a self educated journalist at his peak but also at the end his days. The new kids who'd all been to university and journalism school were about to take over. 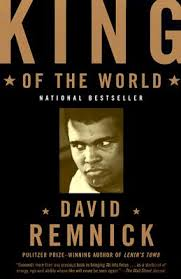 As David Remnick writes "Newspapers were still the dominant force in sports; columnists-white columnists-were the dominant voice; and Jimmy Cannon, late of the New York Post and since 1959, of the New York Journal American, was the king of the columnists. Here's his rant. "He fits in with the famous singers no one can hear and the punks riding motorcycles with iron crosses pinned to their leather jackets and Batman and the boys with their long dirty hair and the girls with the unwashed look and the college kids dancing naked at secret proms held in apartments and the revolt of students who get a check from Dad every first of the month and the painters who copy the labels off soup cans and surf bums who refuse to work and the whole pampered style-making cult of the bored young." 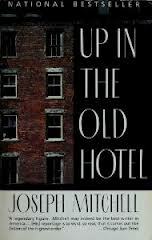 "Suppose he had written the Oral History, I reflected; it probably wouldn't have been the great book he had gone up and down the highways and byways prophesying it would be at all----great books, even halfway great books, even good books, even halfway good books, being so exceedingly rare. It probably would have been, at best, only a curiosity. A few years after it came out, copies of it would have choked the "Curiosa" shelves in every second-hand bookstore in the country. Anyway, I decided, if there was anything the human race had a sufficiency of, a sufficiency and a surfeit, it was books. When I thought of the cataracts of books, the Niagaras of books, the rushing rivers of books, the oceans of books, the tons and truckloads and trainloads of books that were pouring off the presses of the world at that moment, only a very few of which would be worth picking up and looking at, let alone reading, I began to feel that it was admirable that he hadn't written it. One less book to clutter up the world, one less book to take up space and catch dust and go unread from bookstores to homes to second-hand bookstores and junk stores and thrift shops to still other homes to still other second-hand bookstores and junk stores and thrift shops to still other homes ad infinitum." 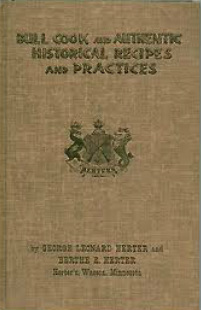 Our grade ten home economics class would have been far more interesting had they used Bull Cook and Authentic Historical Recipes and Practices by George Gerter and his wife Berthe as the course text. The New York Times describes the Bull Cook series as his "magnum opus" ,"a wild mix of recipes, unsourced claims and unhinged philosophy..."
What follows is but a small snippet of a thousand true gems. "If fish are pickled properly, it is one of the most delicious ways of eating them. Commercially available pickled fish in North America and imported pickled fish are of very poor quality. The makers produce them as cheaply as possible and with as little labor as possible. In most cases they make better cat food than human food." "The making of Apple Strudel is one of the great secrets of baking. Very few cooks in the world can make Apple Strudel or even come close to it. There is not a cookbook published in the world that contains a recipe that will work.......In America today the flour makers and the bakers do not want the American housewife to bake at all. The flour companies sell a bunch of cake and biscuit mixes and this junk is supposed to satisfy women's natural instinct to be a good baker and cook. The ingredients, such as the proper flour for baking and proper shortenings, cannot be bought by American housewives in their grocery stores." "The Virgin Mary, Mother of Christ was very fond of spinach. This is as well a known fact in Nazareth today as it was 19 centuries ago. Her favorite music was that of the crude bagpipes of that time, and this also is a well-known fact." "Jerky is made up of meat that has been smoked and slow roasted until all moisture is out of it. In case of an atomic bomb attack it would be very important to know how to make jerky, as it would be the only way left to preserve meat for long periods of time." "I have retained a few Triumph, Ariel and B.S.A. bikes, together with a variety of spares, in anticipation of doing some restorations. Frankly, I'm not sure whether I shall find the time for such projects...feel I may have left it a little late!" "There are times when I think I enjoy feeding the very tame squirrel who visits our kitchen door with great regularity, more than attempting to sort the mountain of motorcycle parts I have in my garage. Upon reflection, I feel Lawrence and I put in too many long hours to make a stake in life." This is from Prairie Dust, Motorcycles and a Typewriter by Greg Williams. It's the story of Bernie Nicholson of Nicholson Bros. Motorcycles out of Saskatoon, Saskatchewan. They started importing British motorcycles before the war and sold the bikes and parts through to the early 70's when the Japanese took over. Huge mail order parts business well before the Internet and also the author of Modern Motorcycle Mechanics. Bit more of a quote than a rant but I think merits the space. 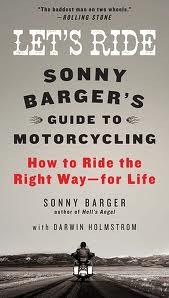 I got a kick outa Sonny's book. In short he tells you to complete the MSF RiderCourse, wear a helmet and wave. Only mixed in with these basics is all this great history. History from a guy who's lived it. It's great. As is his rant. Because of this, I suggest staying away from Italian motorcycles. Period. You may be tempted by their beautiful styling or their high performance, but if you succumb to temptation and buy one, consider yourself warned, because you will, without exception, have all kinds of problems with your bike, ranging from untraceable electrical problems to camshafts that disintegrate within ten thousand miles. ....In the early 2000s Italy hired Professor Marco Biagi to propose reforms to the country's labor laws that were intended to make Italy more competitive in world markets, but in March 2002, the Red Brigade, a radical Communist faction, had the professor killed, thus ensuring that Italy would continue building unreliable motorcycles for the foreseeable future.
" I hope he was right, but of course like everywhere else modern Wales is threatened more than ever by the leveling powers of internationalism, distributed even here through every possible channel of communication. The world's corrosion is inevitably setting in - beside the welcome new comforts and excitements, the dross of television and advertising, drugs, crime, general dumbing-down and and sheer ordinariness. Even the Welshest parts of Wales are less Welsh than they used to be, and the values that Welsh people consider peculiarly their own are being whittled away, or so influenced by ideas and principles from elsewhere the cynics wonder if there really are and specific Welsh values at all. " This from her book " A Writer's Home in Whales " Spot on What? "Fleas dream of buying themselves a dog, and nobodies dream of escaping poverty: that, one magical day, good luck will suddenly rain down on them – will rain down in buckets. But good luck doesn’t rain down, yesterday, today, tomorrow or ever. Good luck doesn’t even fall in a fine drizzle, no matter how hard the nobodies summon it, even if their left hand is tickling, or if they begin the new day on their right foot, or start the new year with a change of brooms. The nobodies: nobody’s children, owners of nothing. The nobodies: the no-ones, the nobodied, running like rabbits, dying through life, screwed every which way. Who are not, but could be. Who don’t speak languages, but dialects. Who don’t have religions, but superstitions. Who don’t create art, but handicrafts. Who don’t have culture, but folklore. Who are not human beings, but human resources. Who do not have faces, but arms. Who do not have names, but numbers. Who do not appear in the history of the world, but in the crime reports of the local paper. The nobodies, who are not worth the bullet that kills them." These are the words of Uruguayan author Eduardo Galeano. What an insightful writer.